Pre-Inspection Pro assists in preventing fraud and reducing risk for insurers, resulting in decreased costs for policy holders. The pre-insurance inspection process is now in the hands of the policy holder, empowering them with the tools to submit photos of their vehicle or property. Pre-Inspection Pro utilizes technology to save time and money. 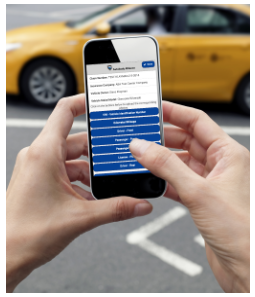 Vehicle owners utilize the web-based platform to effortlessly provide insurance carriers and agencies with the required pre-inspection photos, eliminating the need for an “in-person” physical inspection by your agent or staff. API – Program interfaces available. Integrate Pre-Inspection Pro into your existing systems. Carrier/Program specific branding available (Logo). Vehicle owners see your logo. Reduces exposure to fraudulent claims. To get started using AutoBody Alliance's Pre-Inspection Pro or to get more information, you can go to the Contact Us form and request an email or a phone call.